Linear and Lateral Movement Training– This a really good in-depth article on Mike’s linear and lateral movement philosophies and progressions. What I like most about the article is the coaching cues included. These types of movements are important for hockey players to learn and do properly so they can move more efficiently. I have a very similar belief system with this philosophy. My only addition would be the importance of the crossover step. 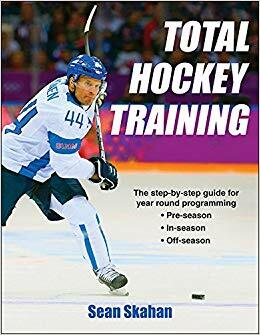 Check out my Improving the Crossover Step For Hockey in the article section of this site if you have not. 2-Day Summer Travel Workouts– This is something that does come up quite frequently with hockey players, especially the pros. Sometimes when a player goes out of town for a few days, workouts like these are necessary. The hotel gym may not be good enough or what I run across more frequently is players not having enough time. A players’ personal time on vacation really needs to be taken into consideration. These are is quick, bang for your buck, workouts that will be just fine in any situation. Thats it for the week. Special thanks to Mike Potenza for putting up some great content. Also, don’t forget to check out the forum. We have a good discussion going on about how to design an on-ice conditioning program late in the off-season.